Bill and Ginger have a beautiful love story, with a twist. They met at RSN’s support group meeting for people who have kidney disease and bonded over their mutual susceptibility to wanderlust. These two day-trippers prove love and adventure go hand in hand. It started so simply, so innocently. 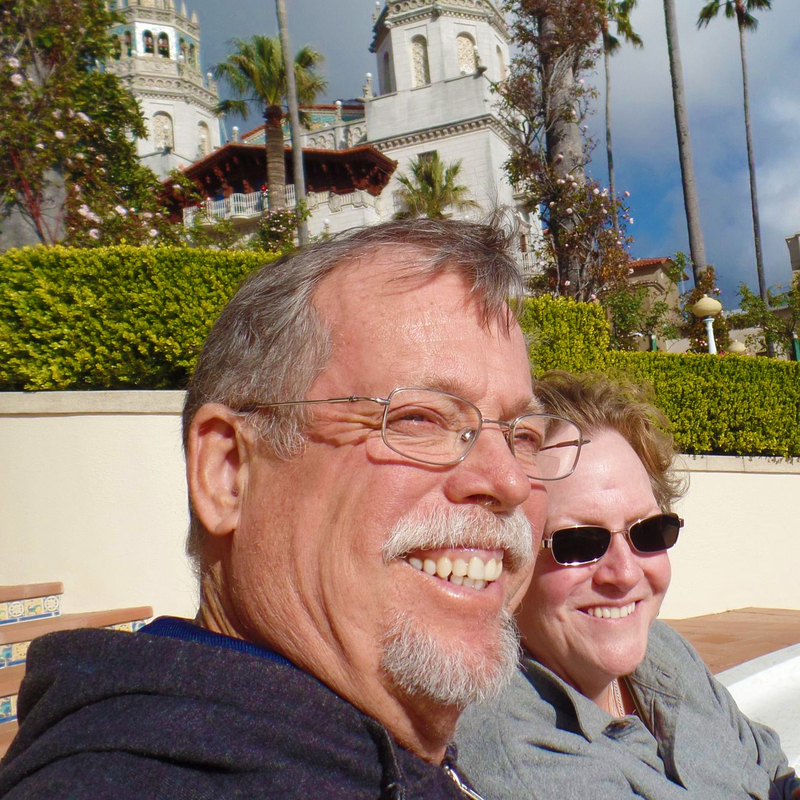 For several years, peritoneal dialysis patient Bill Douglas had been attending monthly support meetings hosted by RSN, coming into Glendale from nearby Covina. Well, when he was in town and not out camping, or riding road guard on his motorcycle for charity bicycle rides, or working at his job. Configuring his camping outfit to handle a dialysis machine, and sometimes having supplies drop shipped to distant points in his itinerary, Bill kept to his plans of trips whenever possible. Early in 2016, at a monthly meeting, Bill mentioned he had found and bought himself a new little camping trailer. He happily shared pictures of it to those seated near him, telling them it was a Meerkat trailer built in San Diego. From across the meeting room, came Ginger’s question, “You have a Meerkat? 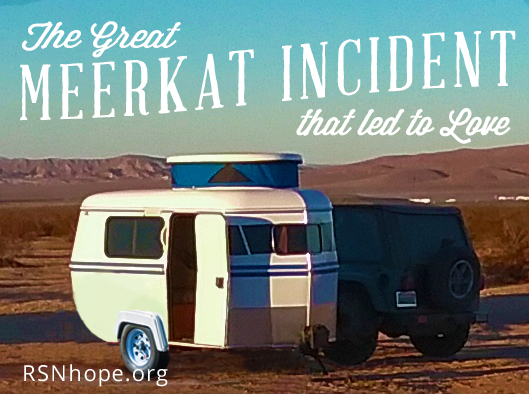 ?” Bill’s surprised response was, “You know what a Meerkat trailer is?” “Yes, I do, I have that on my “bucket list”, to get one.” The idea of going camping together sometime before summer was discussed, but it didn’t happen. Both admit they were a bit scared, and reluctant to contact the other. Finally, curiosity overcame them, and they started talking on the phone. A couple of times a week rapidly became almost everyday, and finally a first date, in mid-summer. A second date a few weeks later had them each realizing this might be the start of a good relationship. Over a short period, it became even more apparent, and more serious. On October 1st 2016, Bill received a kidney transplant at Scripps La Jolla. Ginger was lucky enough to be on the phone with Bill, when the call for transplant came through! Bill’s daughter and Ginger both teamed up as caregivers in his recovery. Bill returned to work on January 2nd 2017, to the same job he has had for 35+ years. These days, they both marvel at the way they found each other – over the table in an RSN support meeting! In addition, Bill and Ginger say they find the circumstances fit together like puzzle pieces. Their future together is bright, and proves that “you just never know”! 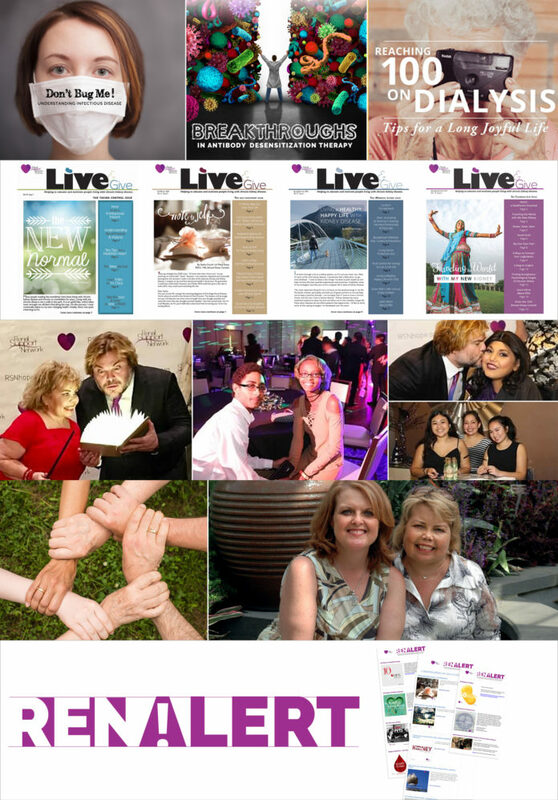 We encourage people who have kidney disease, their families and healthcare professionals to share their story with us. Share your knowledge and real-world experiences that will benefit our readership. View our site and read our author’s guidelines page for submission information. What can you do for someone with kidney disease?